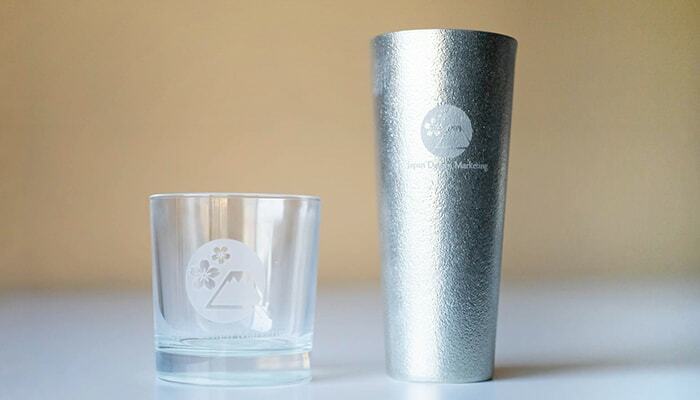 You have many chances to enjoy alcohol: have a drink party with friends, wonderful supper with someone special, or purchase local souvenir for family. 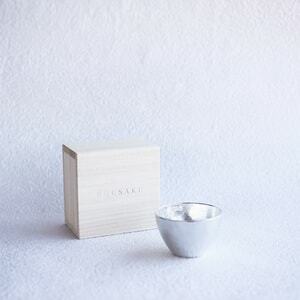 At every moment, this special sake cup (guinomi or ochoko in Japanese) of Nousaku makes your time more special. 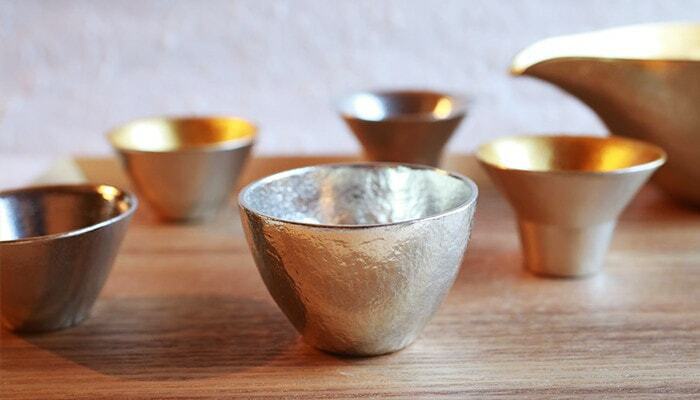 Nousaku is one of the ateliers making traditional tin or brass crafts. 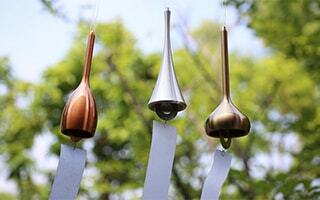 Their atelier is in Takaoka city in Toyama prefecture, Japan. 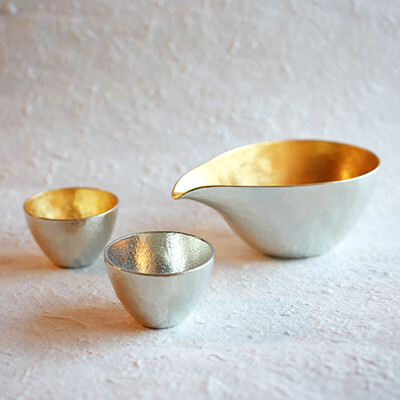 Nousaku produces tin or brass works with new design. 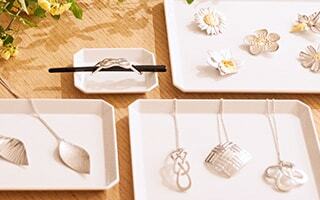 Every year Nousaku announced new items. 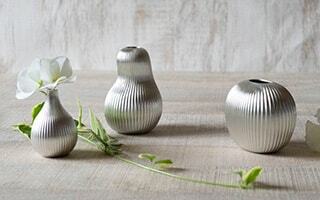 Their items fascinate worldwide people with their traditional work as well as artwork. 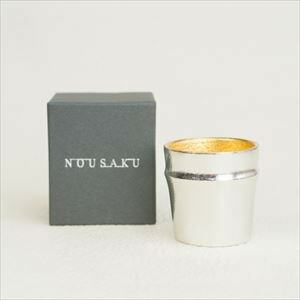 This sake cup of Nousaku soften the taste of sake by the characteristics of the tin. 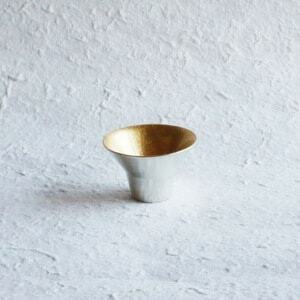 Also, tin has its original texture and weightiness. 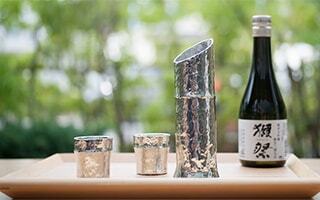 These features of tin make smooth texture of sake stand out. 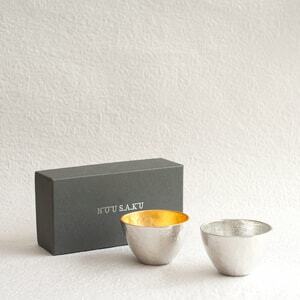 Stylish tin sake cup gives you a feeling of Japanese atmosphere. 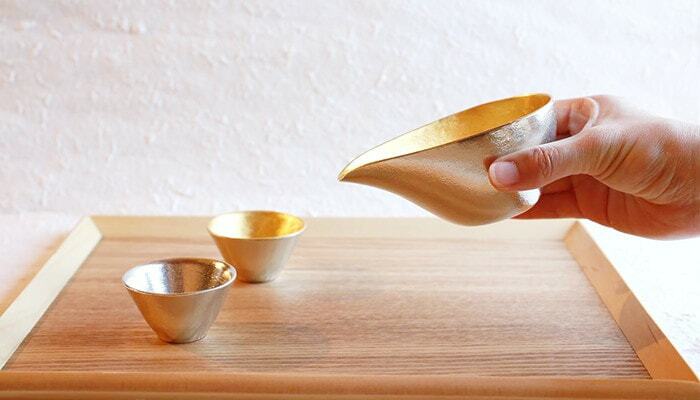 Katakuchi is a single-ended bowl to pour sake into cups. 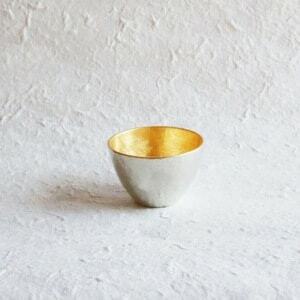 Ochoko is a sake cup. However, ochoko is smaller than guinomi. 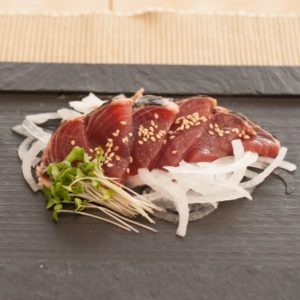 Japanese dinner table needs both katakuchi and ochoko or guinomi for enjoying sake. 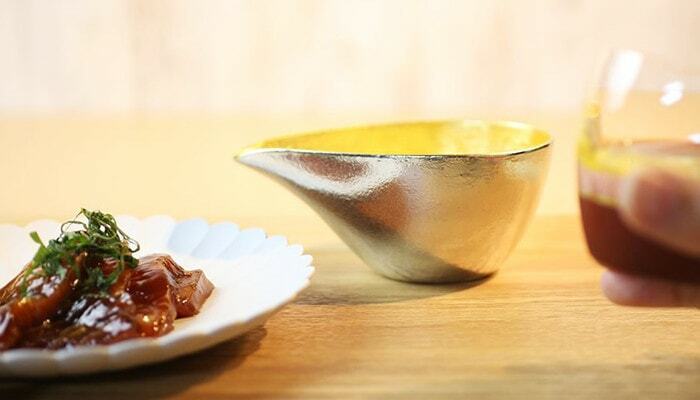 Your cuisine may turn to Japanese home bar with this tableware. When you drink cold sake, we recommend that cold the cups in the refrigerator for 2-3 minutes. The cold tin cup can cold sake. 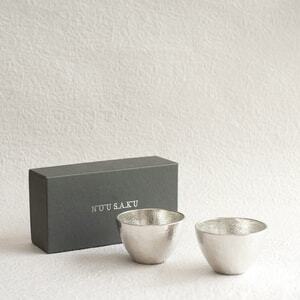 With a stylish silver cup, the sake looks much colder. 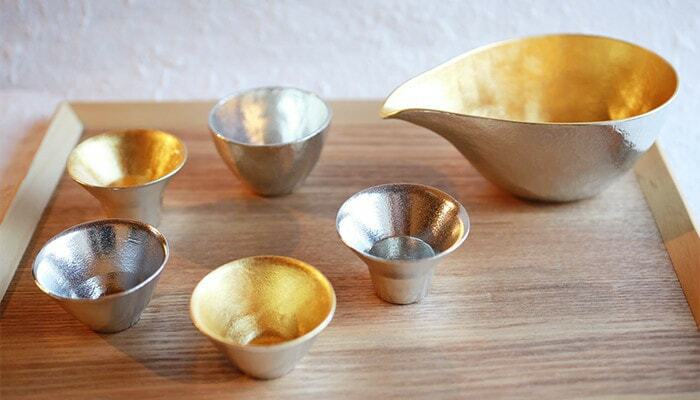 With a gold cup, the sake changes to more luxurious one. 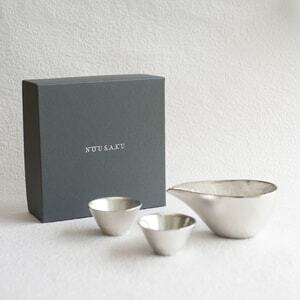 It is a perfect gift for sake lover. 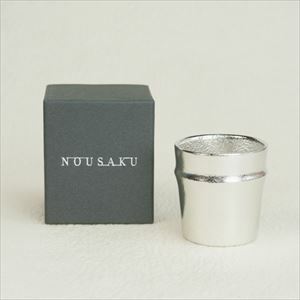 Does the cup of Nousaku really changes the taste of sake? 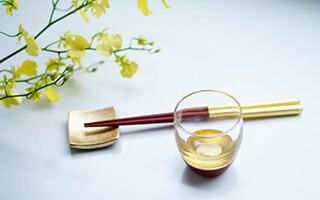 You may not believe that the tool for sake changes the taste of sake. 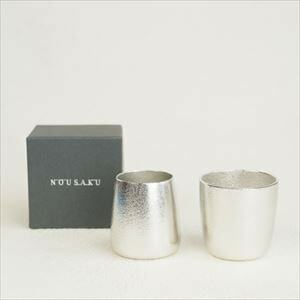 Yet, this tin sake cup and tumbler have gained a reputation that they really make the sake delicious. The secret of this is in the characteristics of the tin. 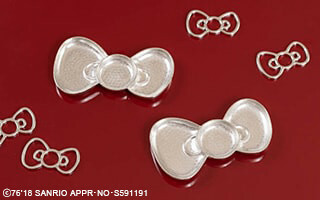 Tin has a feature that has great sterilization and the retention of freshness by its high ion effect. 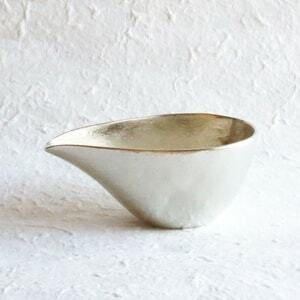 It has been said that “the water in a tin ware does not rot,” or “a tin ware softens the taste of sake.” Therefore, people have been used tin as a sake cup or tea cup. 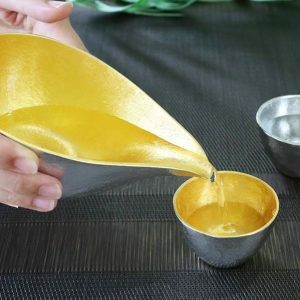 Actually, the tin has an effect to dissolve the fusel oil. 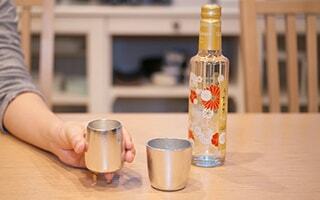 So the taste becomes mild by the tin especially when the sake is dry. Furthermore, the tin hardly has metal-specific smell. The tin ware does not interrupt the delicate taste and aroma of sake. 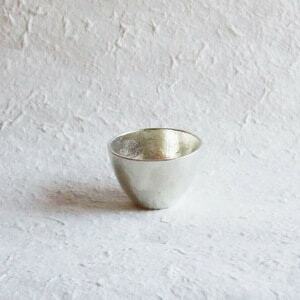 This is the reason why the tin sake cup of Nousaku makes the taste of sake soft and delicious. 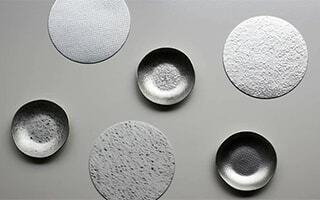 Good design and the characteristics of tin fascinate sake lovers. 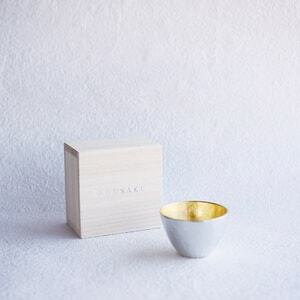 The sake cup gilded with gold has an effect that the sake looks delicious. 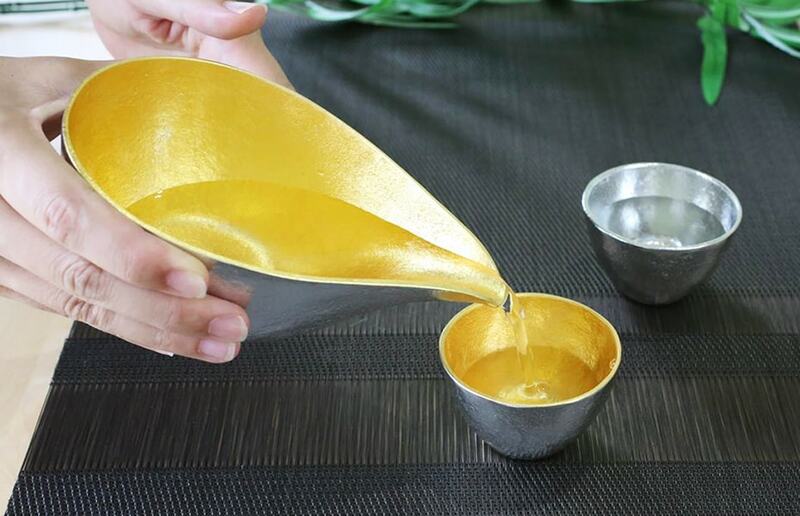 Pouring your usual sake into the sake tool of Nousaku, the sake turns to the gold sake. 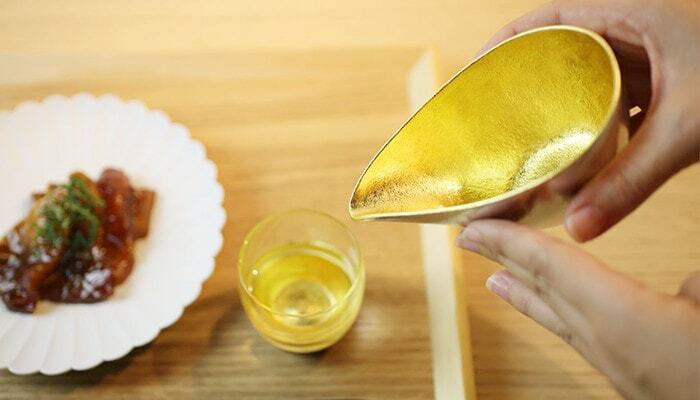 The glittering gold sake makes your supper time more luxury. 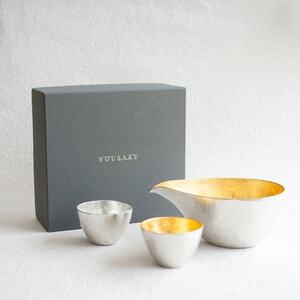 Nousaku uses the gold leaf collaborated with the traditional skill in Kanazawa, Japan. 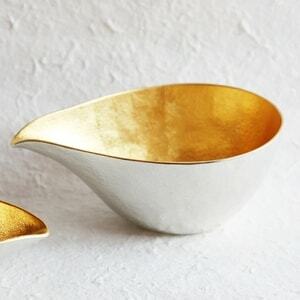 Everyone will be surprised to see the beauty of the gold. 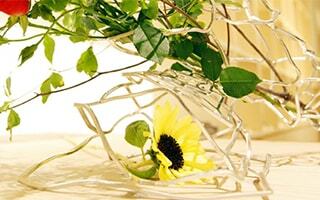 All crafts are handmade by skilled craftsmen. 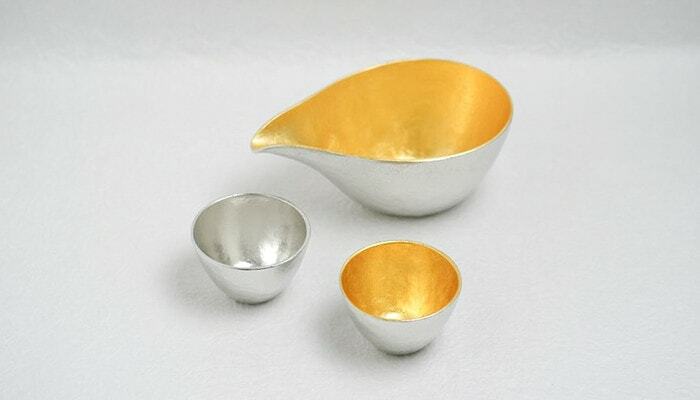 In addition, it is said that the combination of gold and silver color is auspicious in Japan. 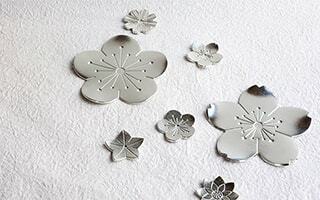 That may be one of the reasons why these sake tools have been popular among people. 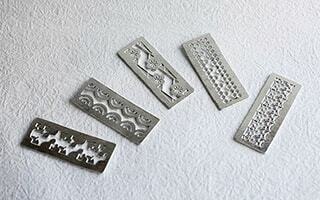 All products of tin sake tools of Nousaku are made of real tin. 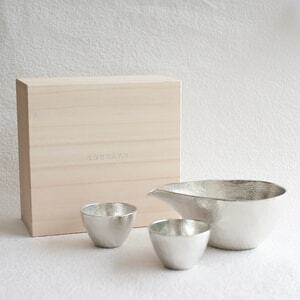 They make tableware with the traditional skill basis on the casting skill of Takaoka, Toyama prefecture, Japan. 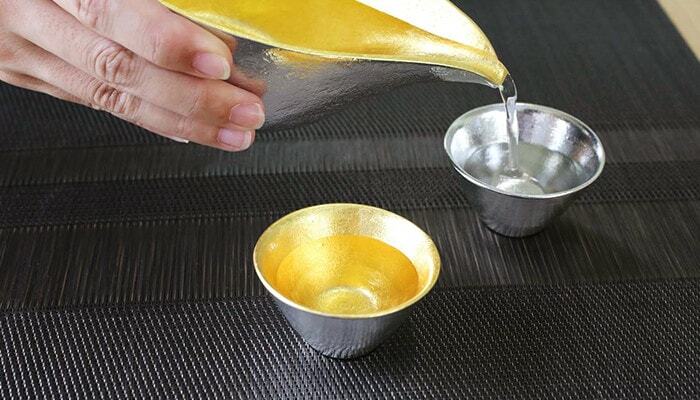 Tin is the third precious and expensive metal after the gold and silver. 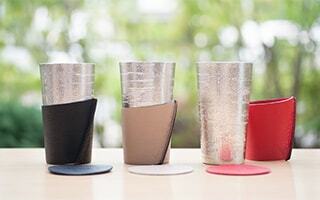 The tin has high antibacterial effect. 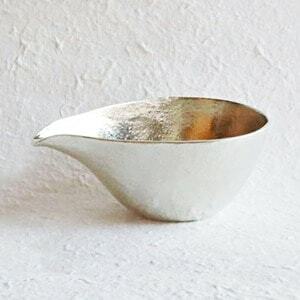 Also, tin has been known as the metal which causes less metal allergy since around 1500 B.C. 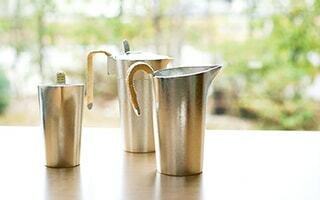 You may not be familiar with the metal tableware. 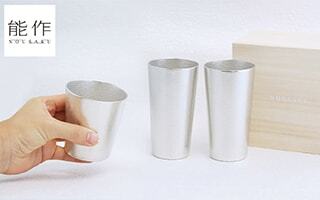 However, every people can use the cups safely since the tin is harmless to human body. 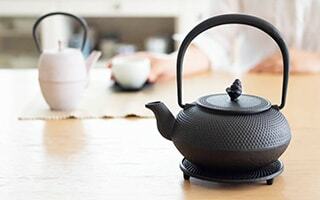 In addition, tin has strong acid-resistant, the tin is not oxidized into black like silver. 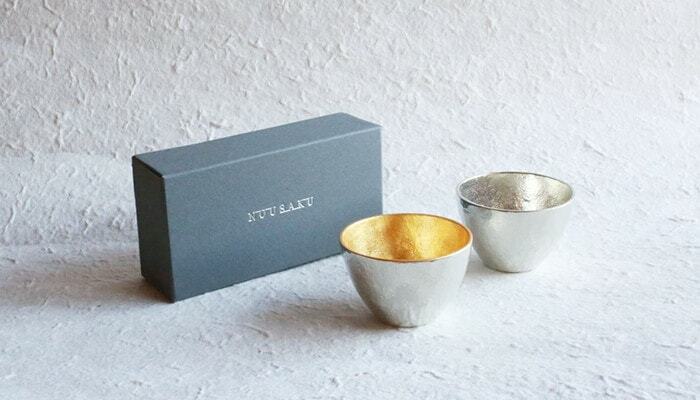 You can handle the tin cup just like other tableware. Furthermore, tin has high thermal conductivity. 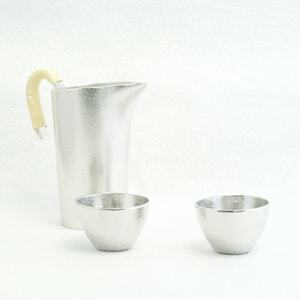 You can enjoy the cold sake with cold cup refrigerated for 2-3 minutes. 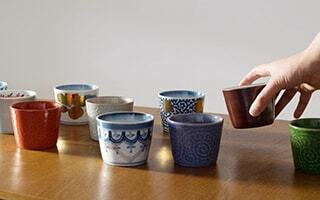 For hot sake, you should be careful not to put too hot drink since the cup itself turns to hot. 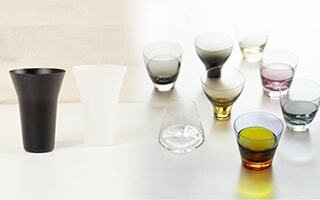 We offer two types of cups, ochoko and guinomi. As we explained before, ochoko is smaller than guinomi. Ochoko is a name originally used for a small cup when Japanese eat soba (buckwheat noodle) or drink sake. 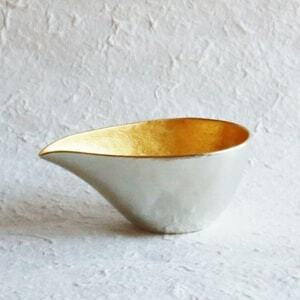 Compared to ochoko, guinomi is a name of larger cup than ochoko when Japanese people drink sake. 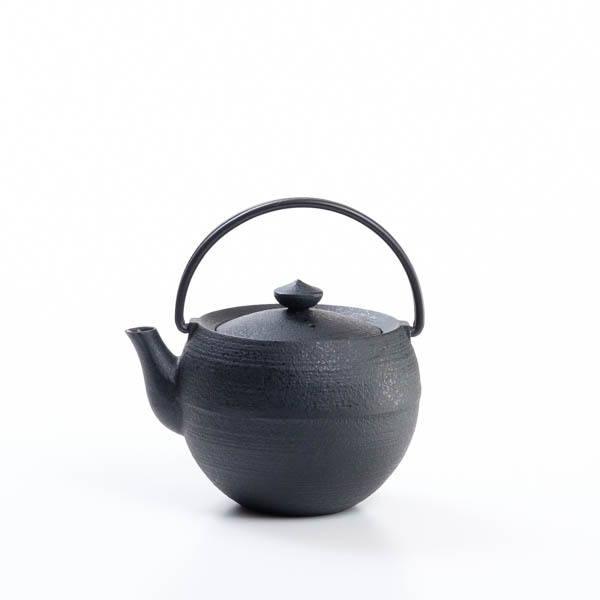 The guinomi of Nousaku is smaller than usual guinomi. Therefore, you can enjoy drinking sake one after another. 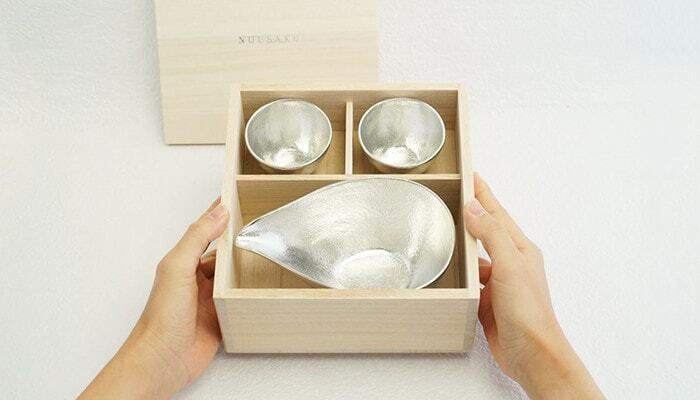 The stylish design of tin sake tool of Nousaku can fit various cuisine. 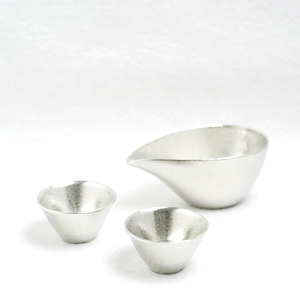 Therefore, you can coordinate your dinner table with this tin sake tool by yourself. The coordinate is totally up to you! 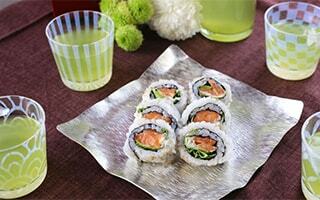 For example, you can put dressing or sauce into katakuchi. 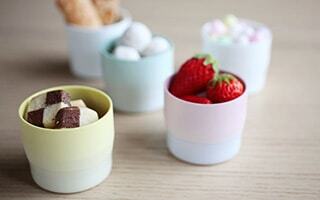 Appetizer or fruits look good with this tin tableware, too. 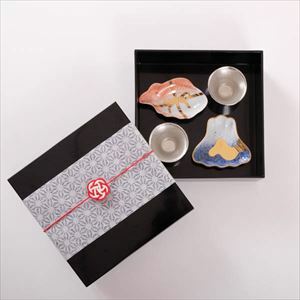 For small guinomi or ochoko, you may put small snacks or nuts. 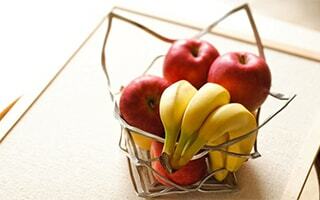 We recommend that refrigerate the cups for 2-3 minutes before putting cold food. 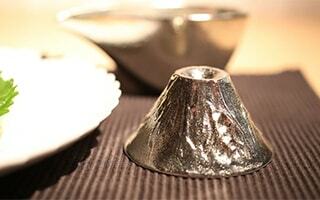 The cold tin tool keeps the temperature of food by its thermal conductivity. 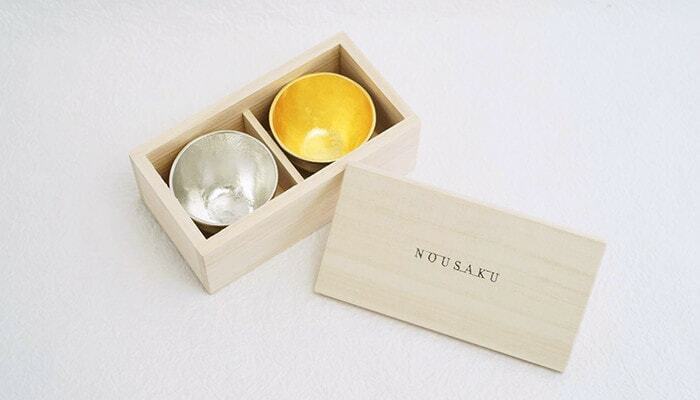 We prepare all the products of Nousaku within their exclusive boxes. 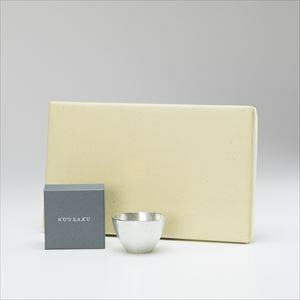 The exclusive box has silver shiny logo on the gray box. 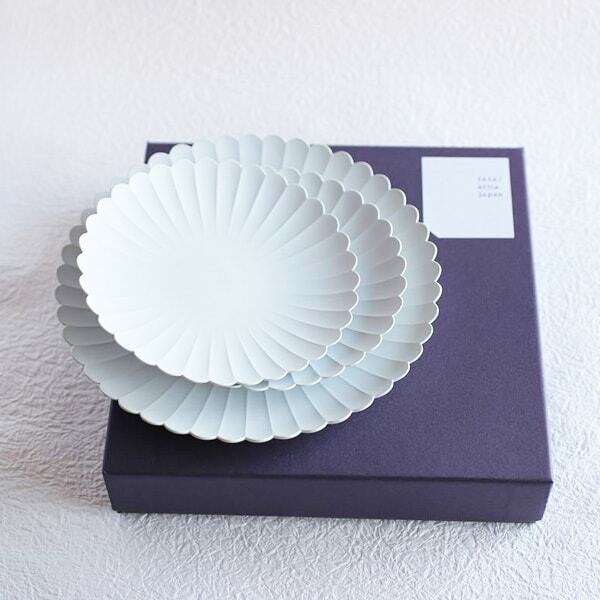 For more classical gift, we prepare some paulownia box set. 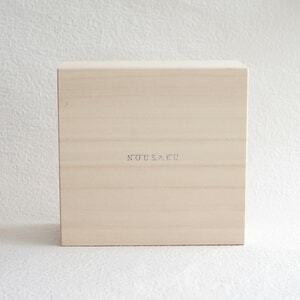 In fact, few online shops offer Nousaku original exclusive box or paulownia box. 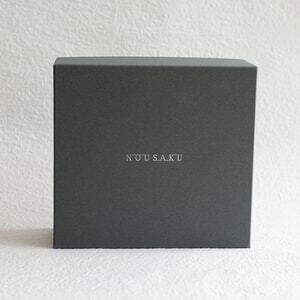 If you would like to send Nousaku items as gifts, please choose our shop! [Nousaku] As the finest gift for sake lovers, the sake serving set of Nousaku is the best. 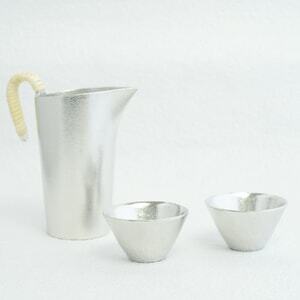 Tin sake sets can make the taste of sake mellow. 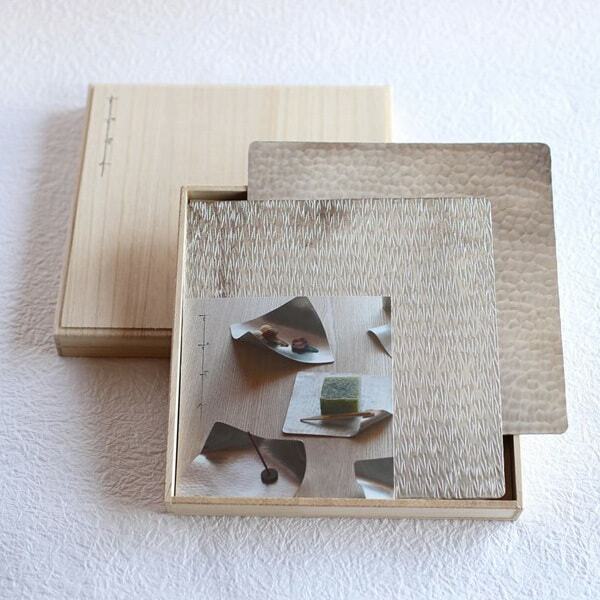 Exclusive paulownia box gives more elegant atmosphere to the Nousaku sake set. 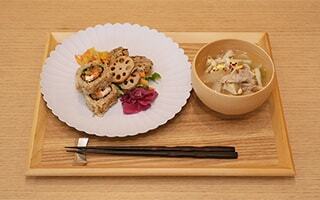 Also, all the products of Nousaku have Japanese and English descriptions in the exclusive boxes. 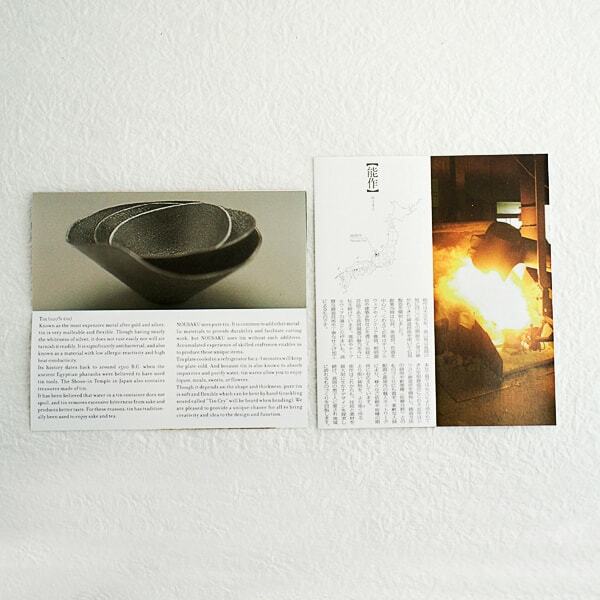 You can get it and send it to friends in the world. 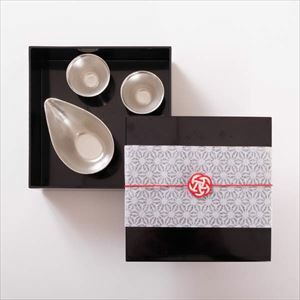 Japanese sake sets with katakuchi and guinomi are great gifts for sake lovers or couples. 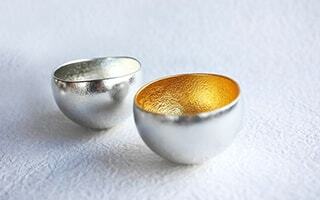 Also, the pair of gold and silver has auspicious and gorgeous atmosphere. 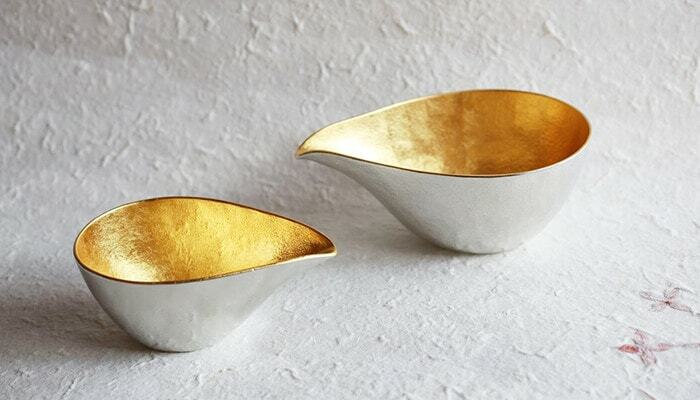 They are suitable for celebrating gifts. 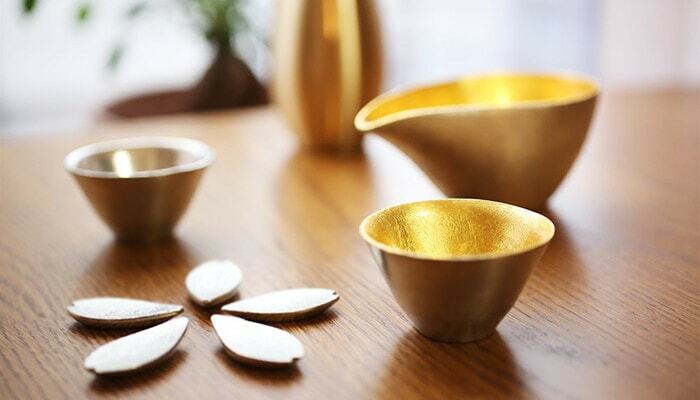 Furthermore, kinpaku or gold leaf is one of Japanese traditional crafts. 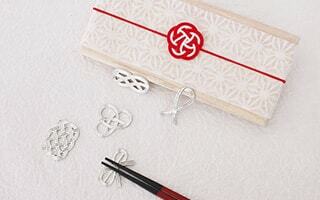 So, it is great omiyage (souvenirs) from Japan. 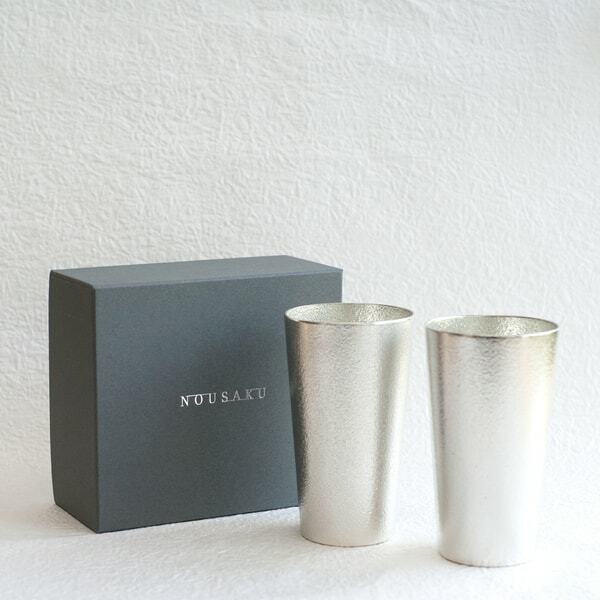 The Japanese sake cups or sake pitcher of Nousaku will make the recipients of gift happy. 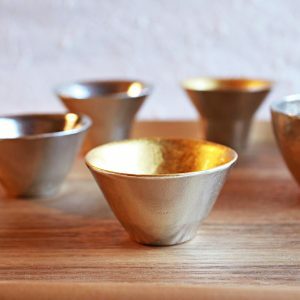 But please add one point “tin sake cups can make sake delicious!” Sake lovers become much happier. 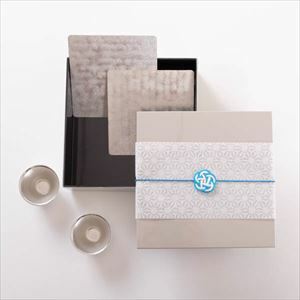 * We cannot offer putting name service for all products. We appreciate your kind understanding. 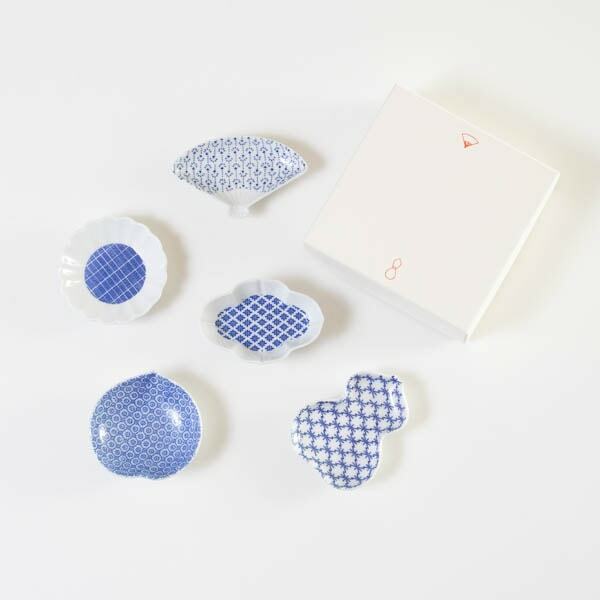 In Japan Design Store, we offer more than 10 patterns of sake sets. 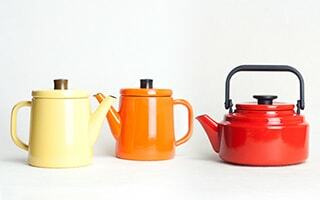 Combinations of colors, sizes, and various types of designs. 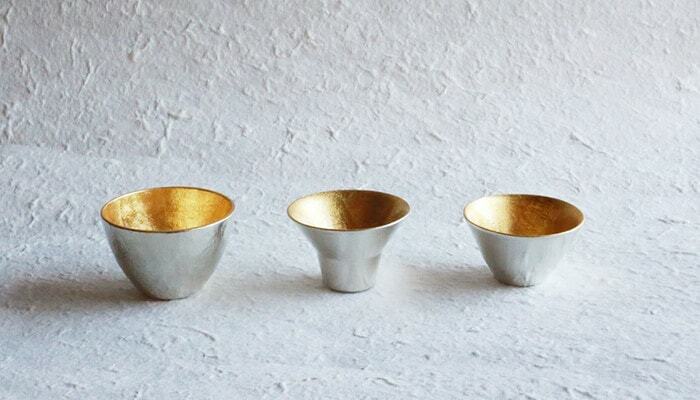 Please find your best one from the Japanese sake cups. 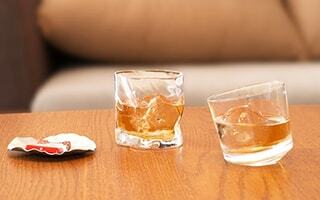 If you cannot decide the one, we recommend this set. As soon as the arrival of parcel, you can start great Japanese sake time. You can make your original set! 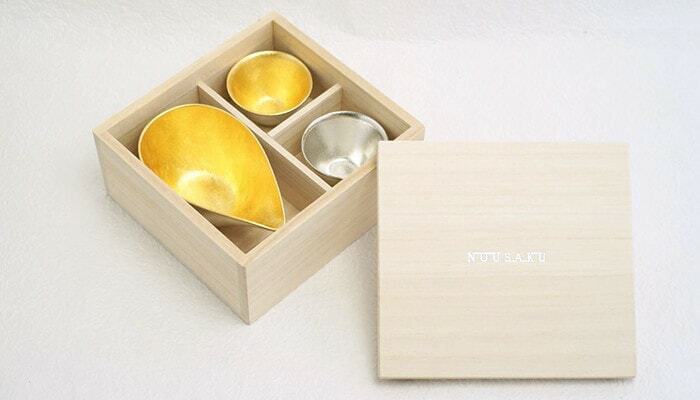 Sake sets of Nousaku have exclusive box or paulownia box. 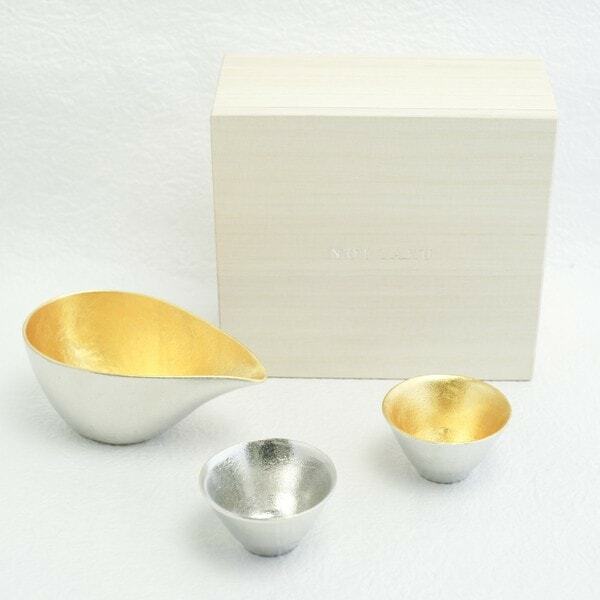 We can arrange the set with your favorite colors, sizes, or sake cups. 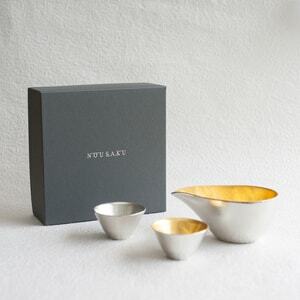 If you would like to make your original set, please choose your favorite katakuchi (×1), sake cups (×2), and exclusive box or paulownia box. 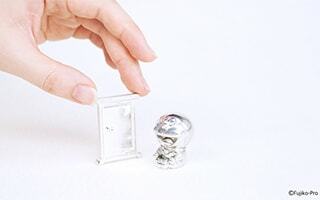 * The size of the box depends on the size of katakuchi. Be careful when you choose. 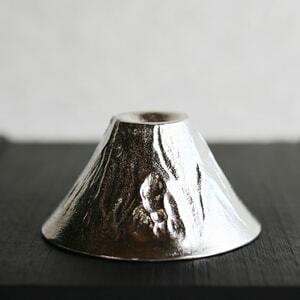 In addition to the Japanese sake cups, Nousaku offers other items like "Fujiyama" with motif of Japan's Mt. 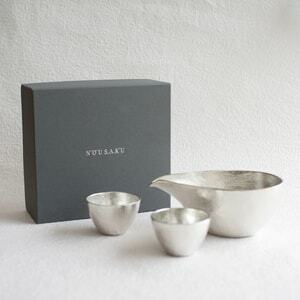 Fuji, and a tin tableware with mysterious beauty "Kuzushi". 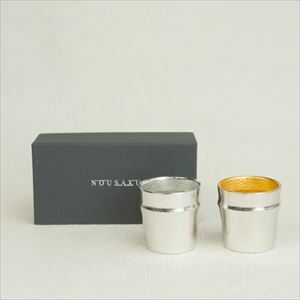 In addition, there are the popular "Tin Beer Cup and Tumbler " at our shop and "Chirori" to make the hot sake delicious. 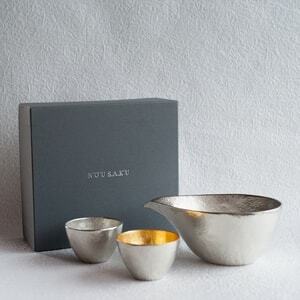 Enjoy various tin tableware of Nousaku. 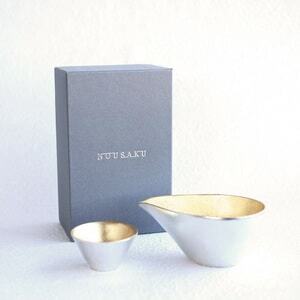 We prepare exclusive gift boxes for all products of Nousaku. 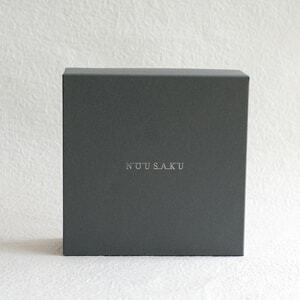 A gray box is with silver logo of Nousaku. 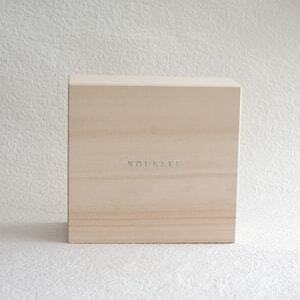 For premium gift, we offer the box made of paulownia wood. 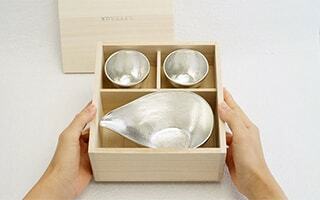 Tin sake set within paulownia box is a great gift! 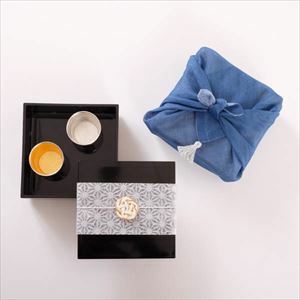 Also, when you visit or want to visit Japan, please choose the sake sets as “omiyage.” Omiyage means souvenirs. 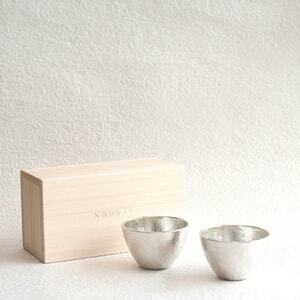 Tin sake set of Nousaku has very “Japanese” atmosphere. 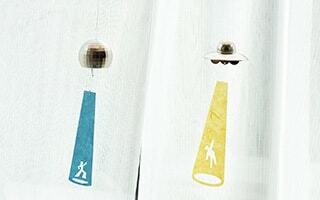 * Wash with soft cloth or sponge with ph-balanced detergent after use. 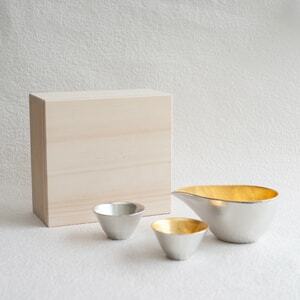 * Sake sets with gold leaf have changed their specifications a little. 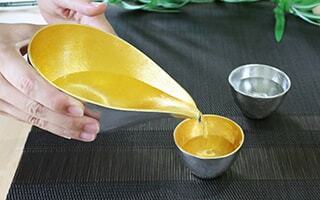 Now (July 2018), gold leaf is not gilded on the edge of each sake set. 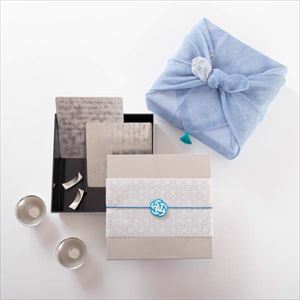 Please note that some products are partly different from the pictures of this page. * Please do not rub with a hard scrubbing brush. Also, the product is soft and vulnerable. Avoid polishing with the cleanser. * When the gloss has become dull, please polish the products using a commercially-available metal polish, toothpaste or baking soda. 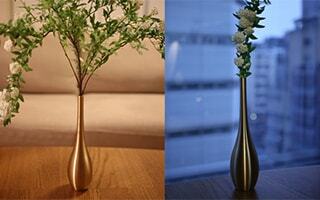 The gloss will return with them. * Please do not apply to the direct flame because of the low melting point. 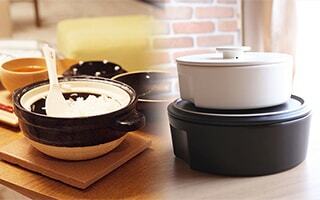 * You cannot use it in microwave oven. * Please do not put in the freezer to reduce the risk of tin pest (that tin becomes brittle by the cold). * Please do not put in the dishwasher and dryer.